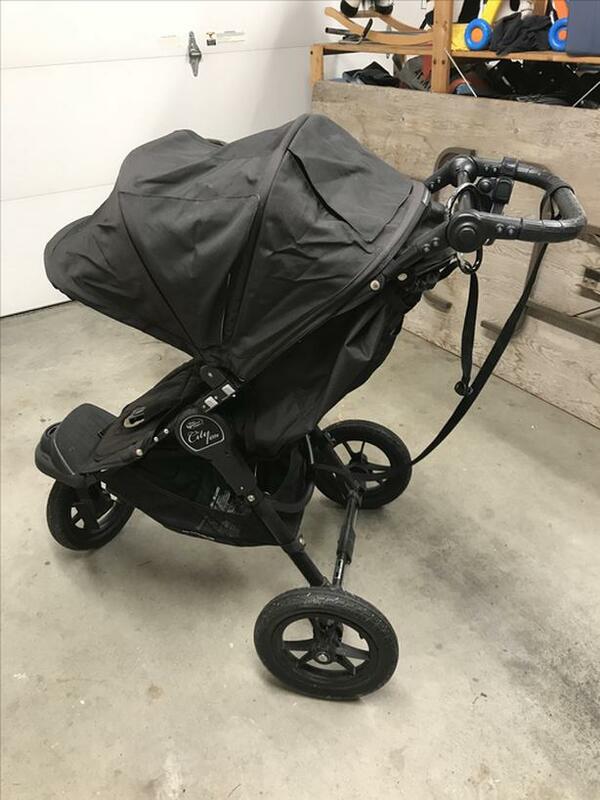 We bought this beautiful Baby Jogger City Elite All Terrain stroller used and it came to us in incredible condition. 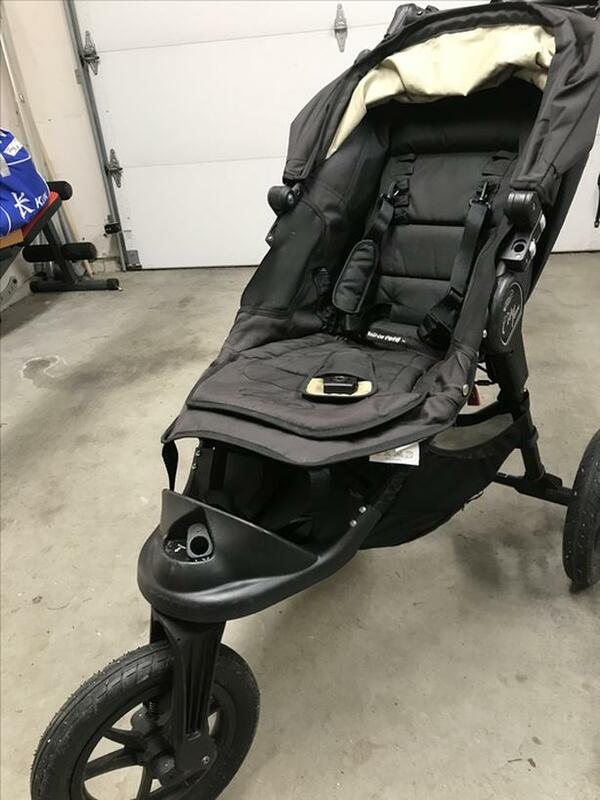 We bought it in September 2016 and it was a couple of years old by then but the lady took such great care of it. 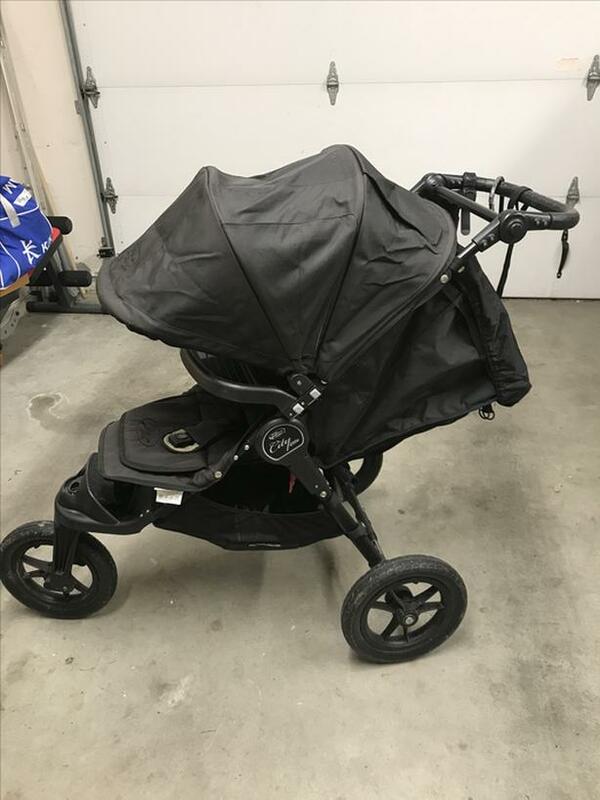 We ended up not using it as much as we would have liked but it was great for trails and some light jogging (though not an actual running stroller). 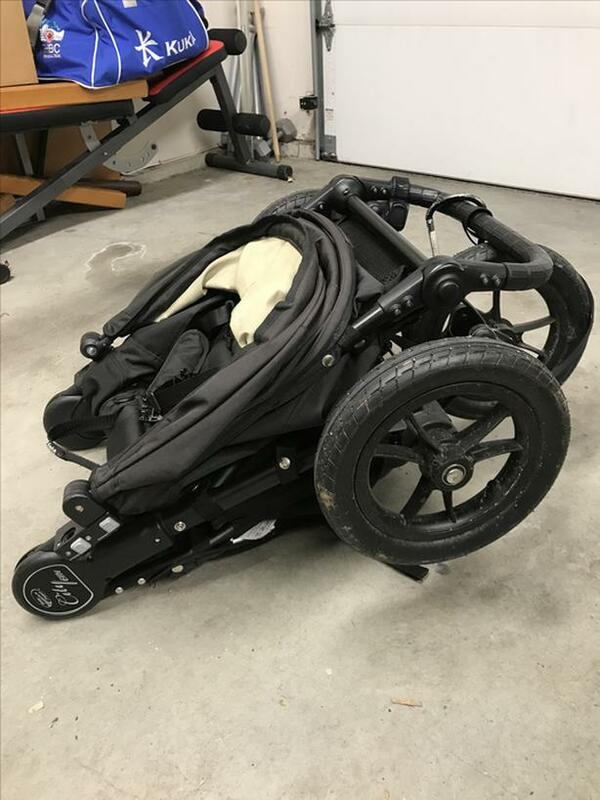 It folds and opens so easily and it comes with everything you need. 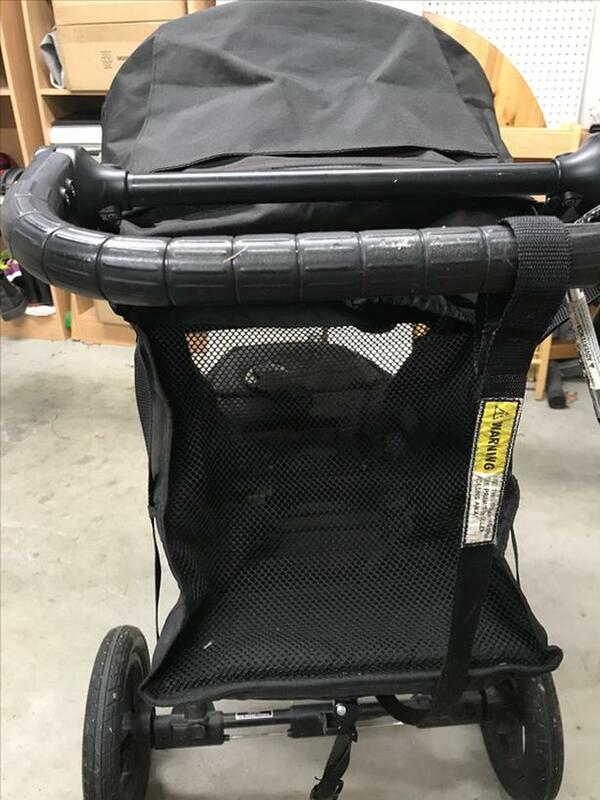 The previous owner bought the stroller and all the accessories for about $700 and I bought it for $450. Hoping to recover some of that money back. 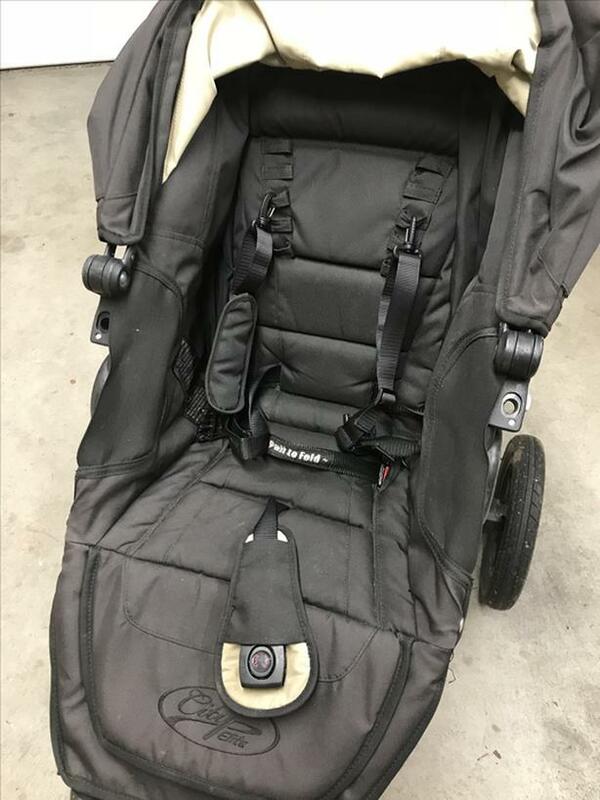 - Note: one strap pad is missing from the left strap... 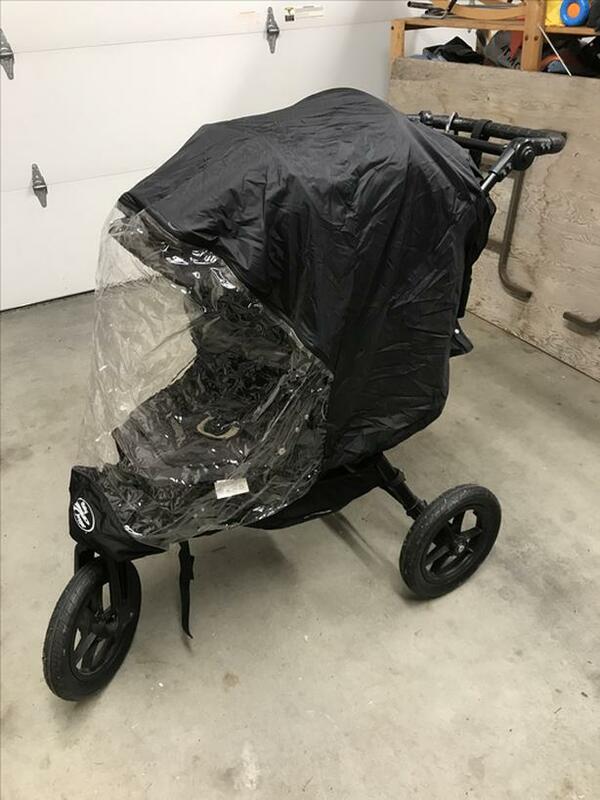 I might be able to find it before the sale! 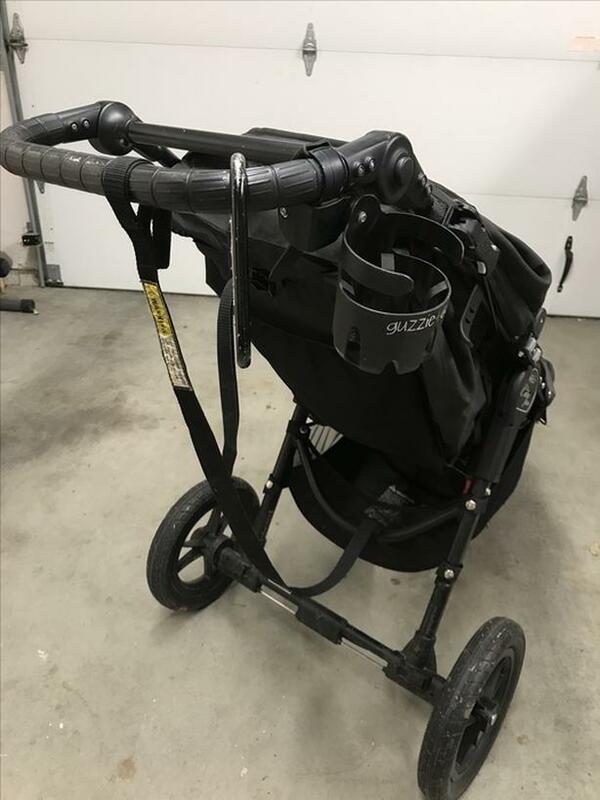 In general a great stroller but our toddler is up and moving and we also have an Uppa Baby stroller and find we are using that for urban use and not going on the trails anymore. Pick up or view in Gordon Head (near Kenmore/Shelbourne).